Curious if Transcription is the Right Choice for You? Sign up below to start your free quiz! I would also like to receive free training to improve my transcription skills. As a bonus for expressing your interest in transcription training, you will also receive a free copy of our e-book, Everything You Need To Know About Work From Home: General Transcription Business Opportunities (a $29 value). How will this free transcription quiz will help me? This free transcription quiz will help you decide whether or not transcription is the right career for you. How to enroll for the free TCI general transcription training? First, you will need to pass an English test that will assess your grammar proficiency, especially if you are registering from a foreign country where English is not the first language. What’s included in this free transcription training program? What I am going to learn with this free transcription course? 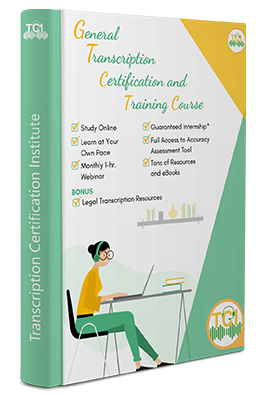 Steps to take to become a certified and employed transcriptionist - tips on creating your professional resume, passing the transcription test, and where to look for transcription jobs.